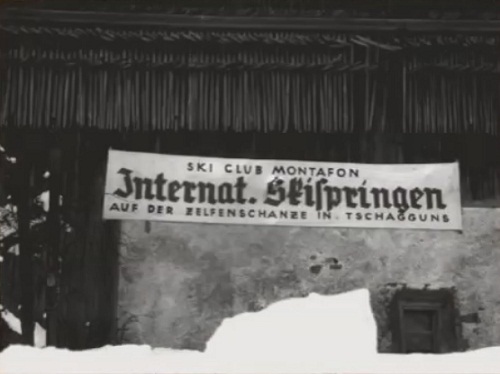 First ski jumping developments at Montafon already took place from 1909 onwards at Schruns and Tschagguns. 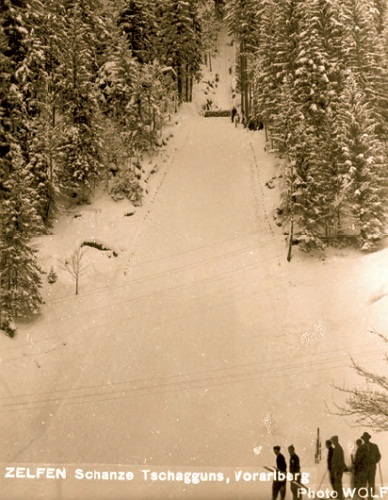 With Rhätikonschanze at Latschau the was a 40 meter hill at Tschagguns in 1930. 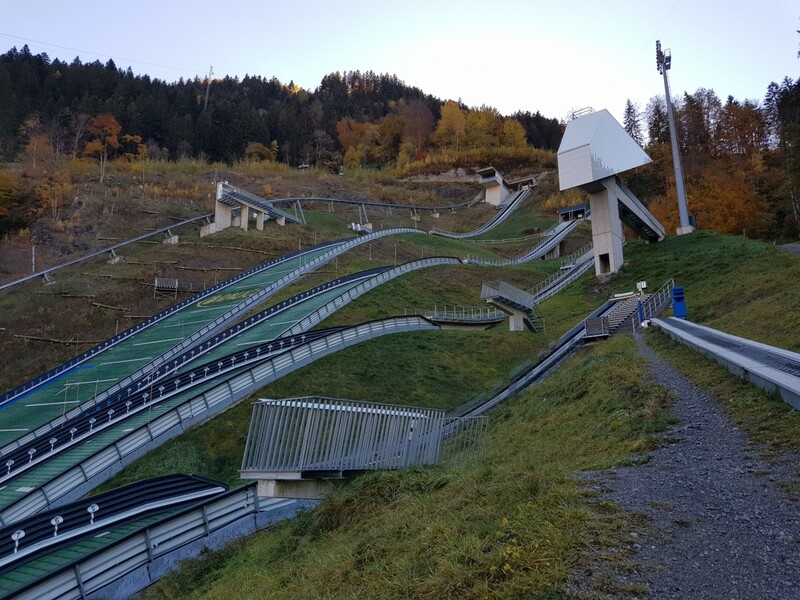 In 1937 it was replaced by the new-constructed Zelfenschanze, which was at that time the largest ski jump of whole Austria. 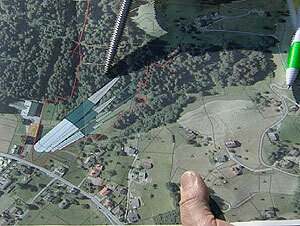 The plans were made by August Ohneberg in March 1937 and then works started with the support of many voluntary helpers. 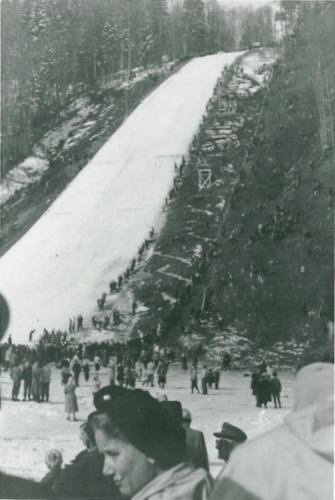 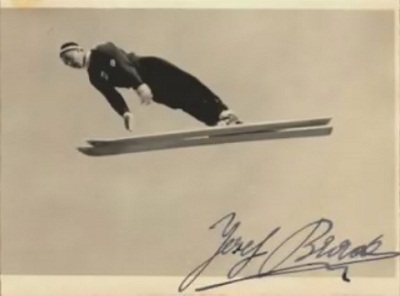 On 1938-01-09 its opening was celebrated by 2,000 spectators and ski flying world record holder Sepp “Bubi” Bradl landed the first 80 meter jump on Austrian ground. 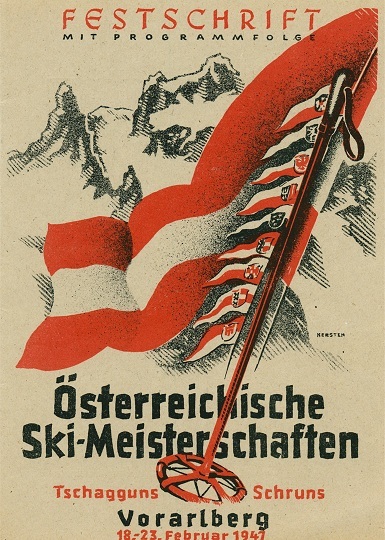 From 1939 the ski jump was missused by NS propaganda. 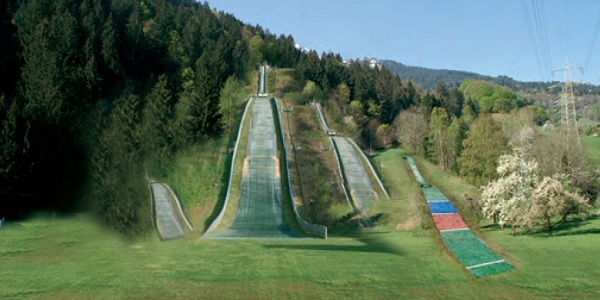 After World War II this jump was reopened on March 3, 1946; in front of 6'000 spectators Bubi Bradl also participated. 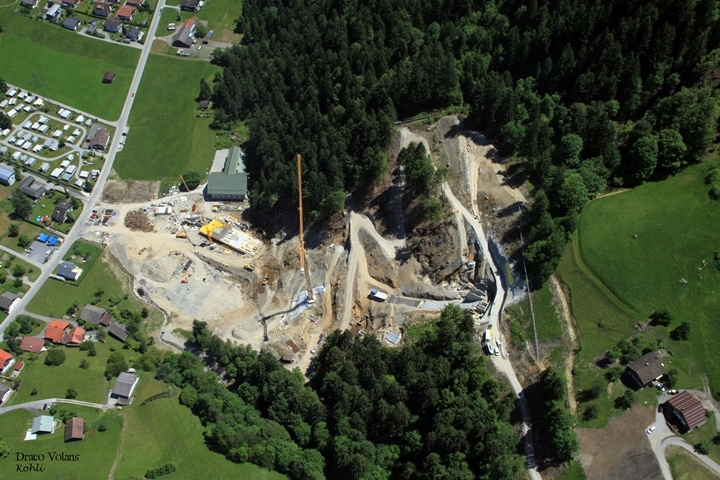 One year later the first Austrian Nationals after World War II were staged at Tschagguns and therefore Ing.-Ohneberg-Schanze was constructed. 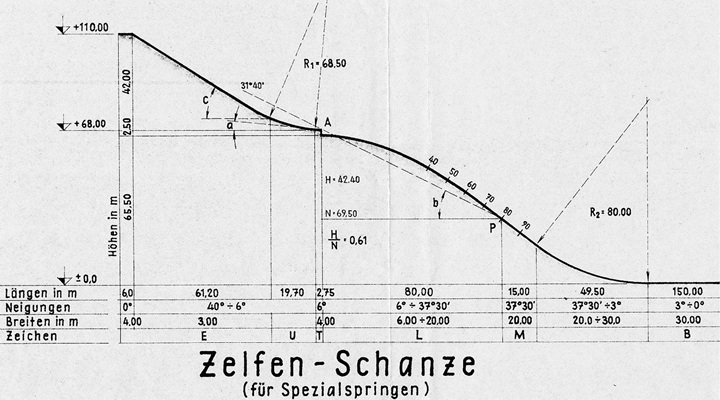 On 1947-02-23 15'000 spectators came to Zelfenschanze in order watch Bubi Bradl's victory. 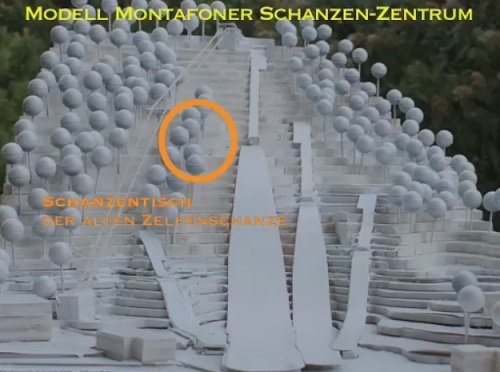 Again an audience of more than 6,000 spectators attended an international competition on Zelfenschanze on 1950-03-12. 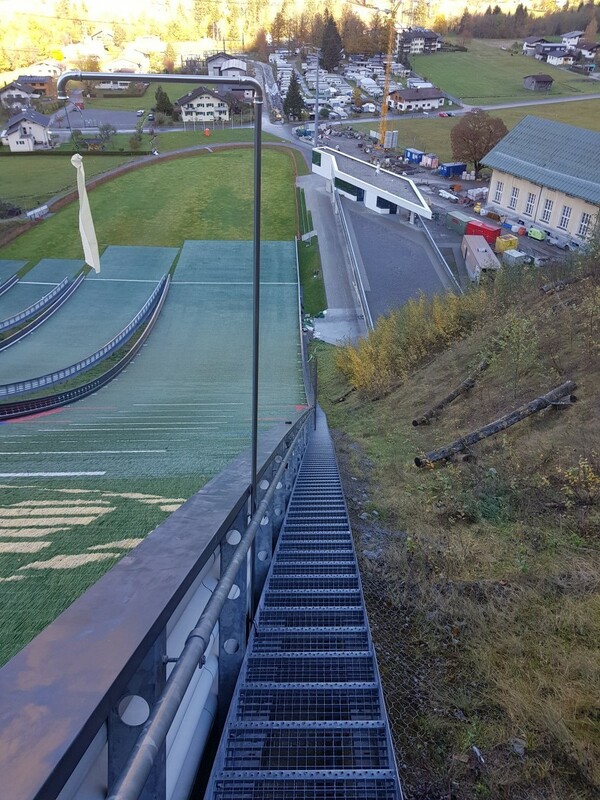 In the end the hill record could be pushed on 86 meters by Swiss Andreas Däscher. 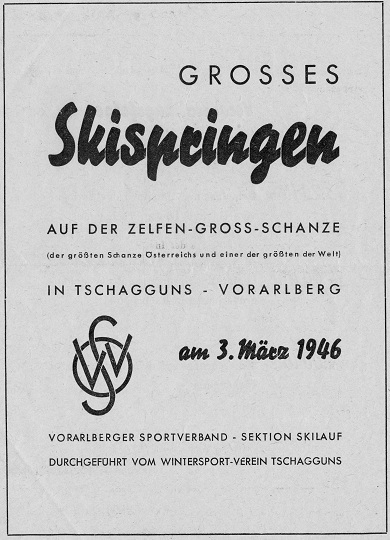 Austrian ski jumping nationals in 1957 and junior nationals in 1956 were also hosted at Tschagguns/Schruns. 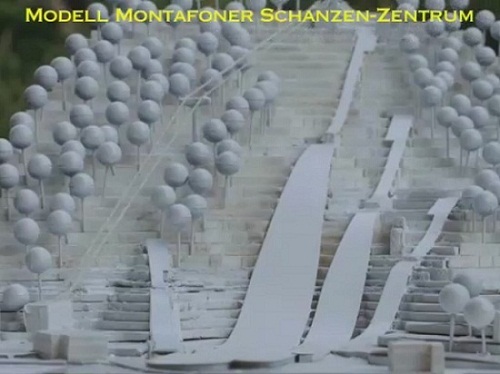 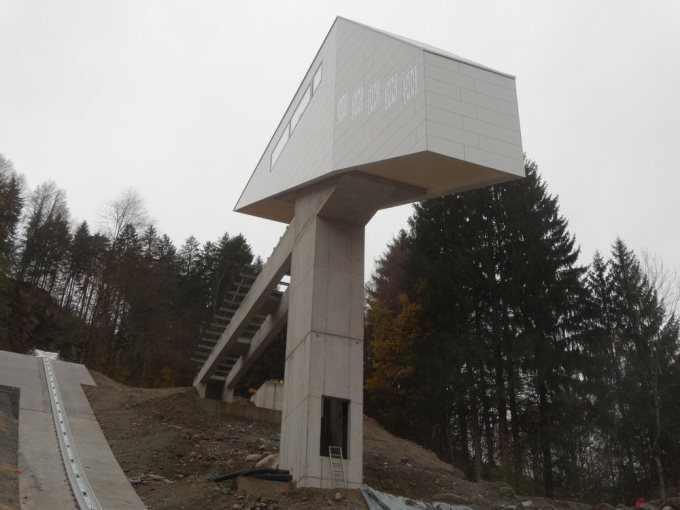 Already in 1960's these jumps have been closed, but in 2007 a reconstruction of the ski jumping facility at Zelfenschanze with three plastic covered hills has been decided on. 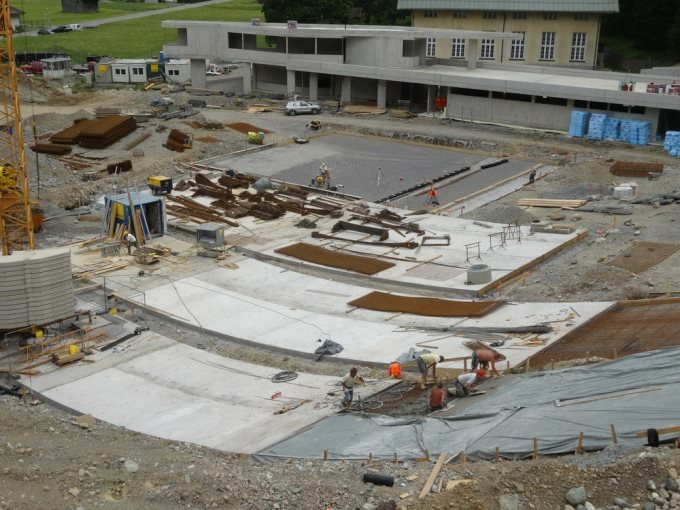 They shall be ready for young jumper’s education and training in summer at least by 2015. 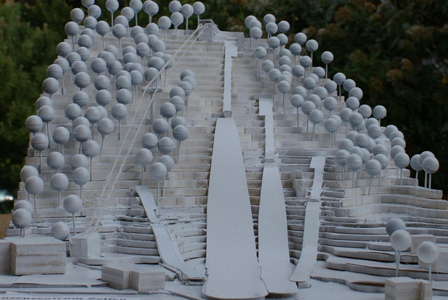 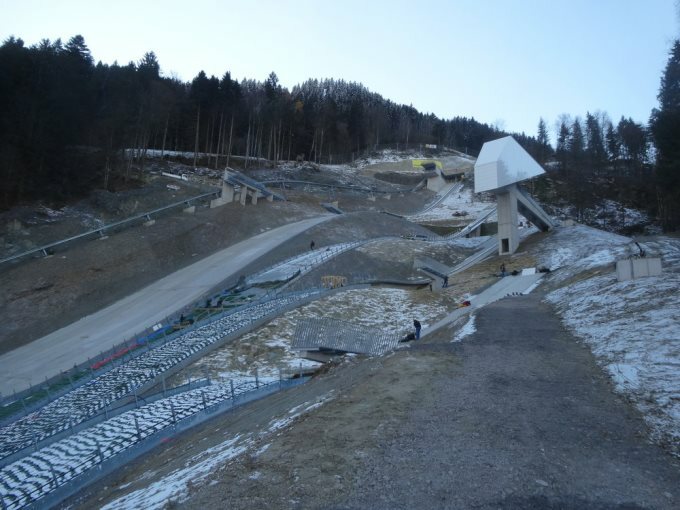 Additionally the largest new ski jump shall be host of international competitions, too. 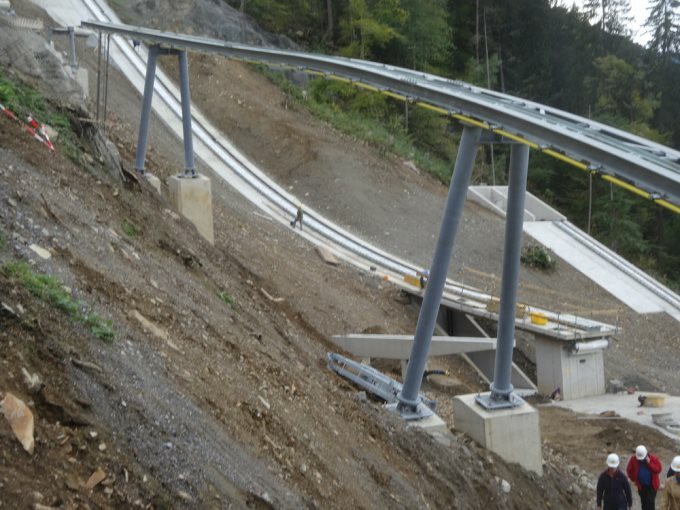 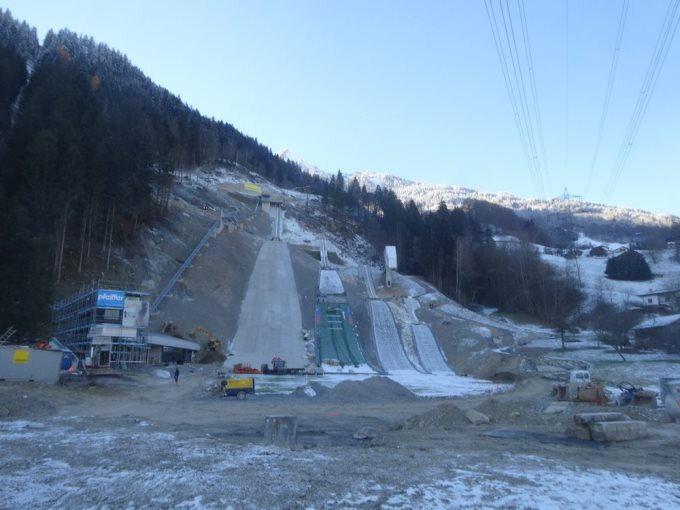 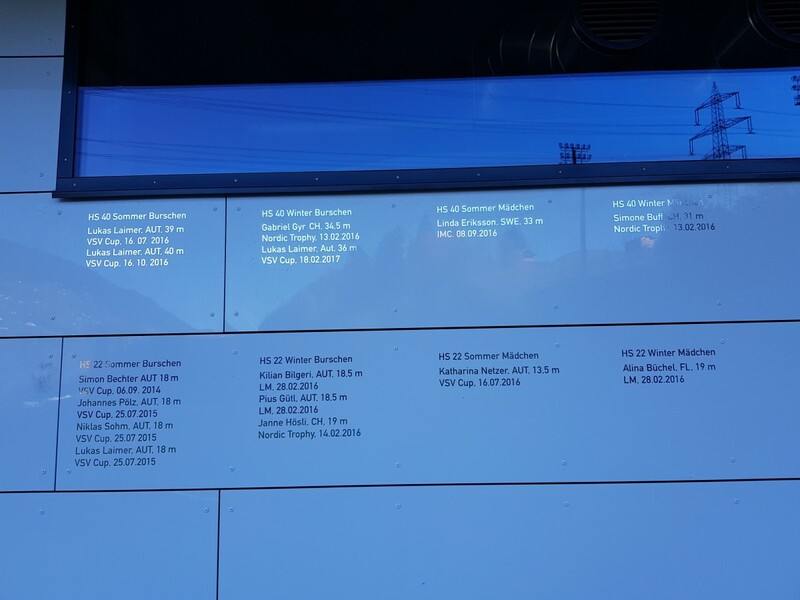 The around 9.6m Euro expensive "Nordic Concept" of Montafon includes the hosting of ski jumping events of EYOF 2015, which were awarded to Vorarlberg and Liechtenstein in November 2010. 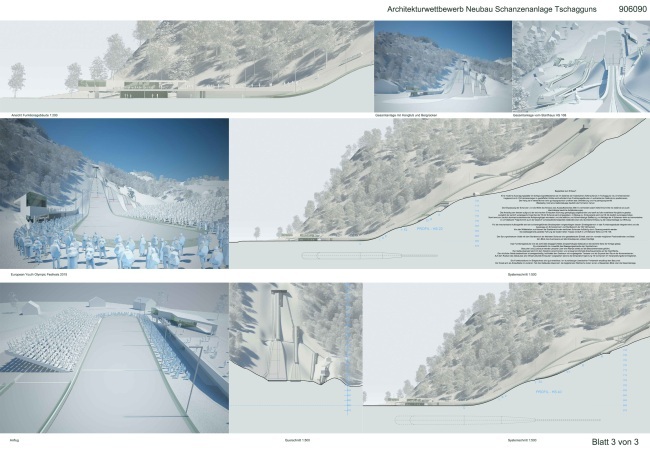 The project of mitiska-wäger architects was awarded as the winner of the public invitation for the jump construction in November 2011. 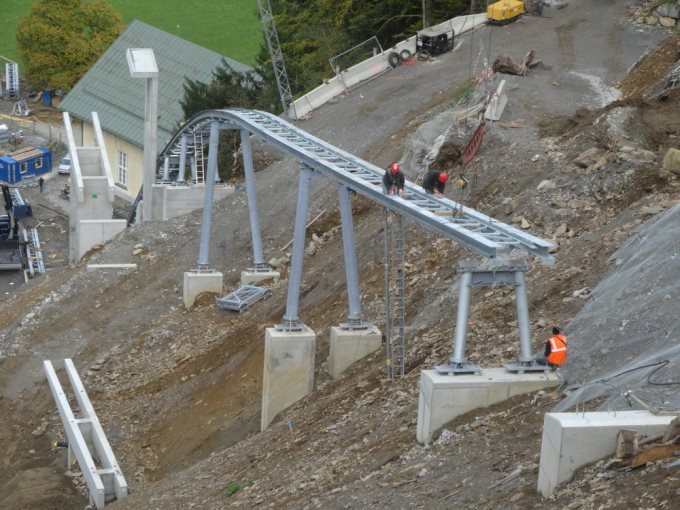 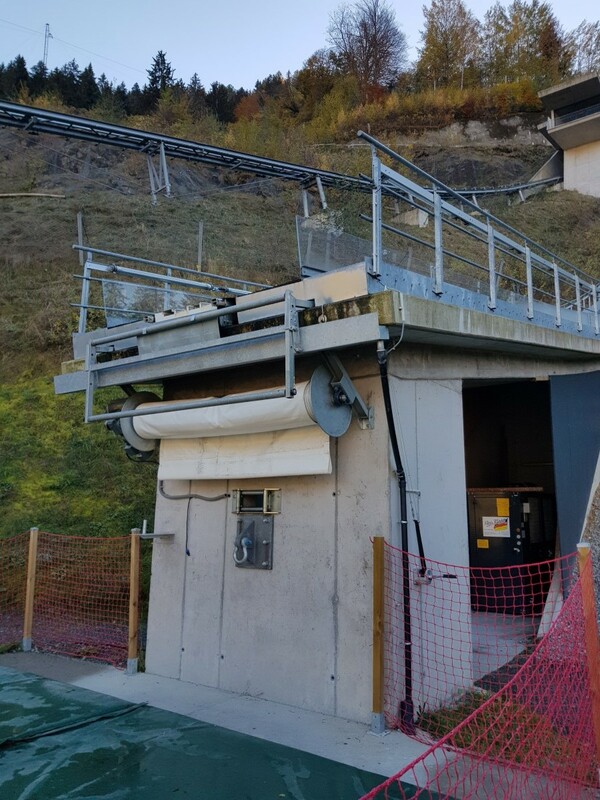 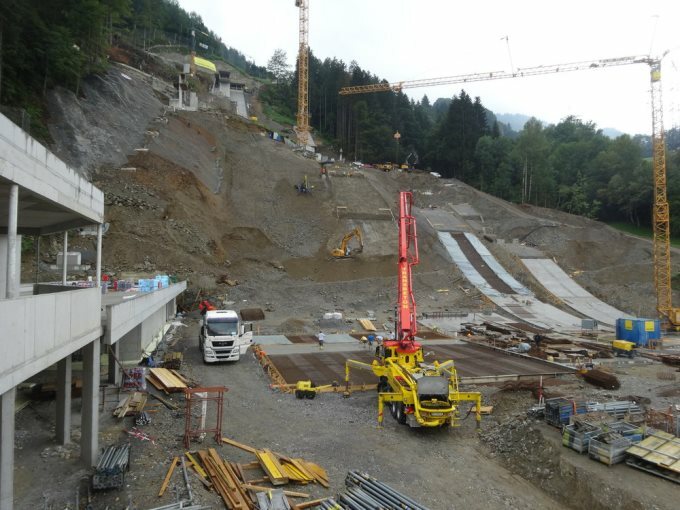 Works on the four plastic covered ski jumps HS 22, HS 40, HS 66 and HS 108 embedded into the slope and thereby wind-protected with functional buildings and rail shuttle started in March 2013 with the official first dig. 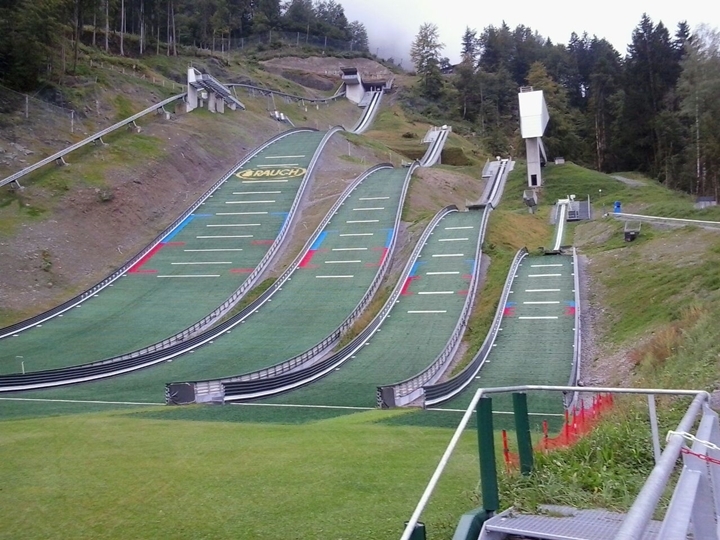 The three junior hills were already ready for jumping for winter 2013-2014. 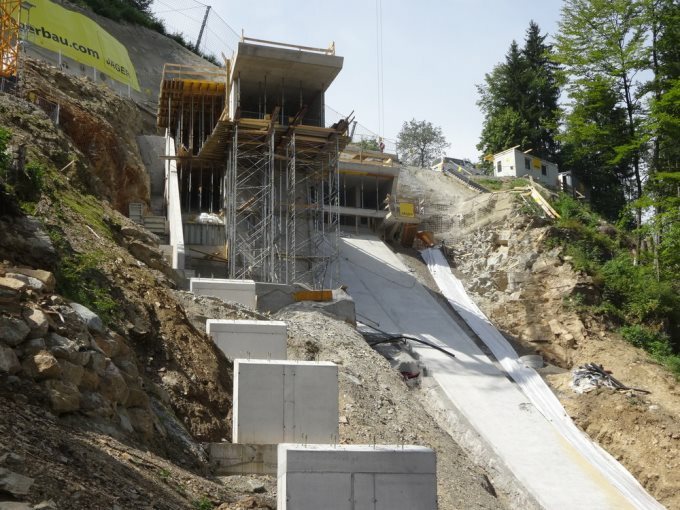 Works on the plastic covered K95 hill and the facilities were finalized in the course of the year. 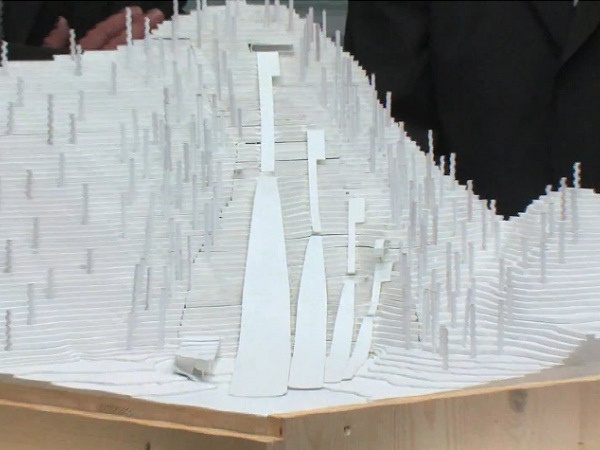 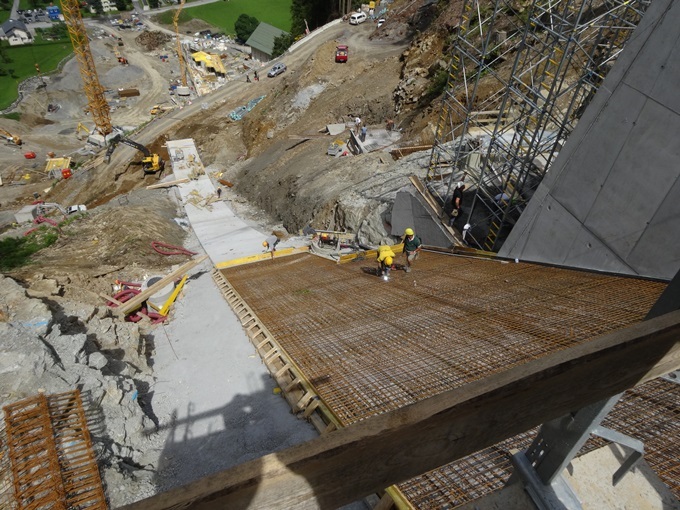 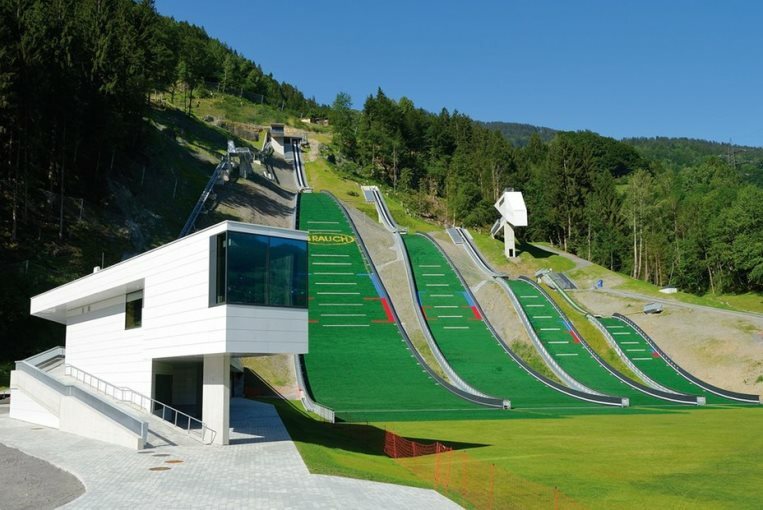 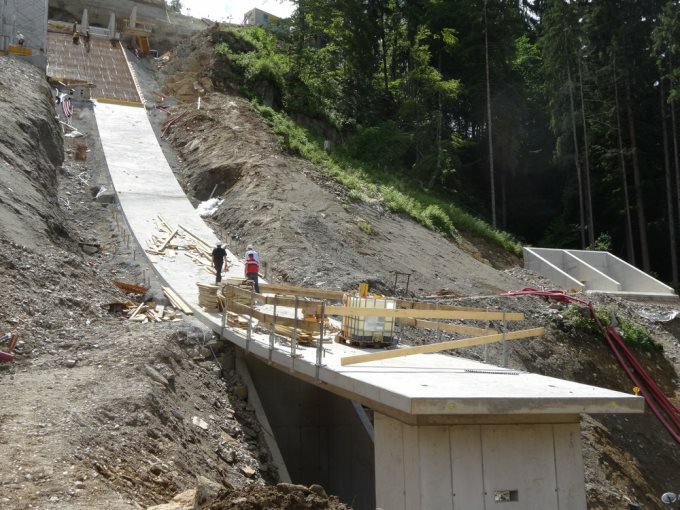 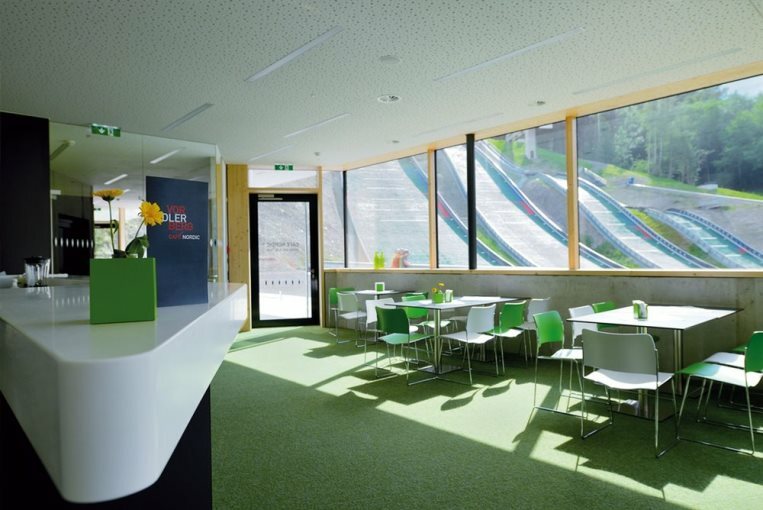 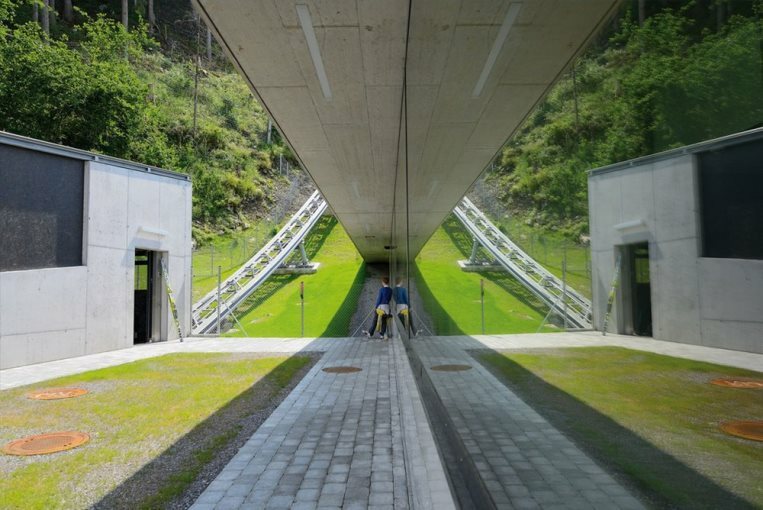 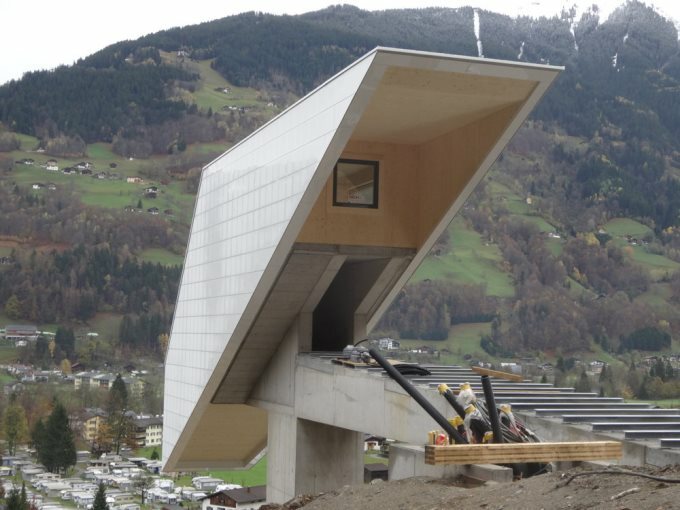 The official inauguration of Montafon Ski Jumping Center took place on June 28, 2014. 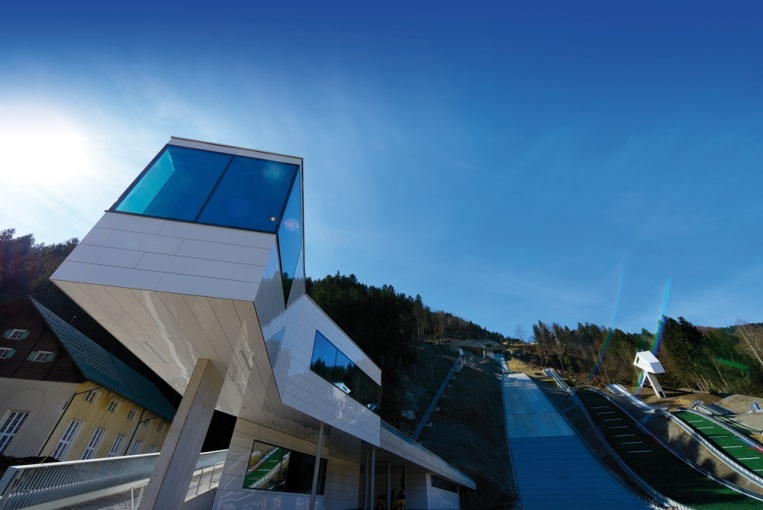 Austrian Championships shall be held there in October 2014 and EYOF is coming in January 2015! 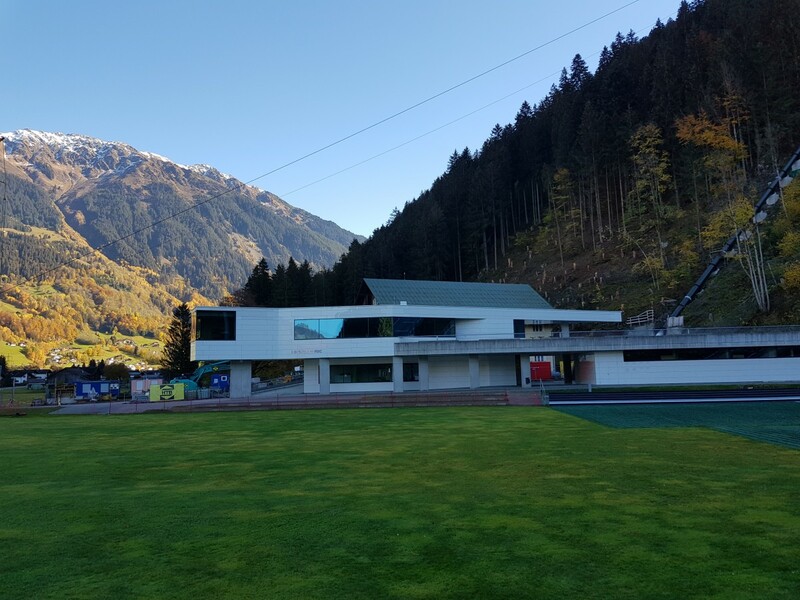 The total construction cost of the new facility was 15.2 million Euros in total and for another 435,000 Euro floodlights shall be added. 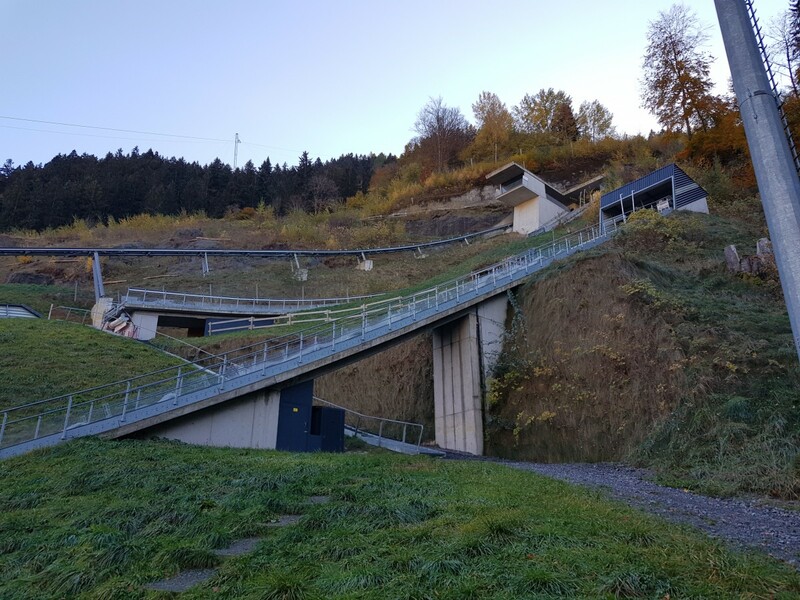 After 18 months construction time the new "Montafoner Schanzenzentrum" at Tschagguns was officially inaugurated. 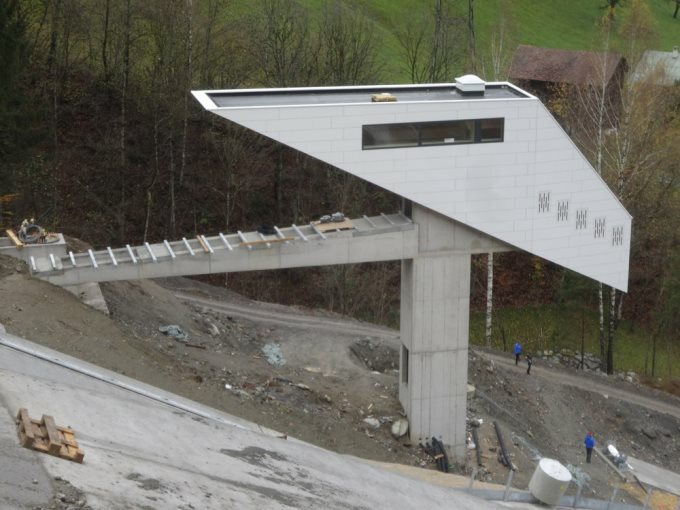 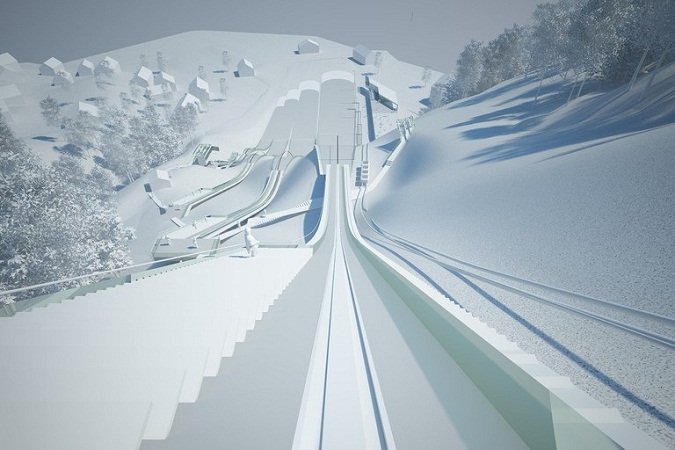 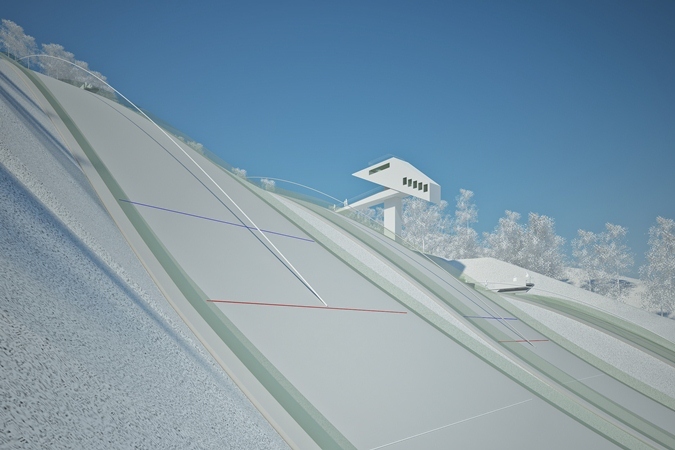 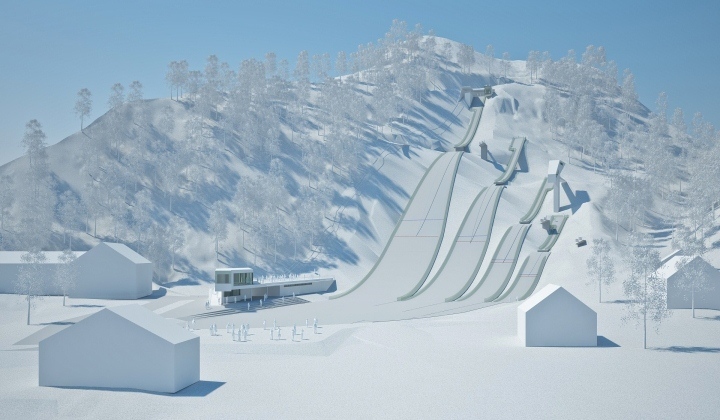 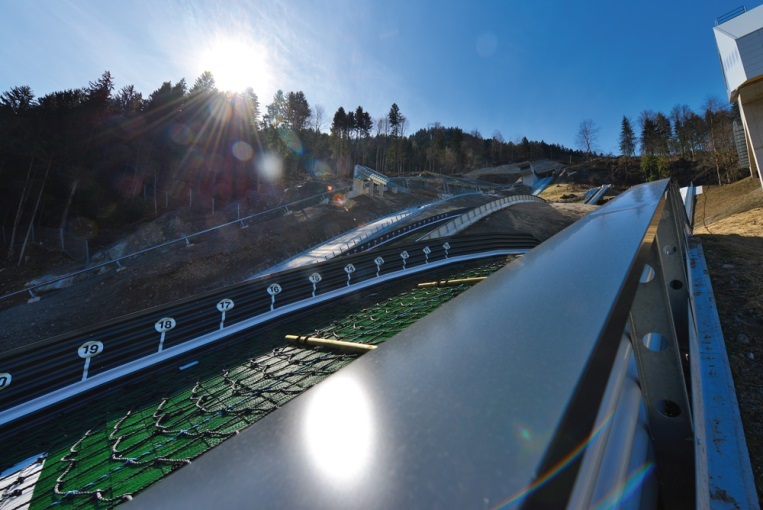 The new HS 108 ski jumping hill is going to host EYOF 2015 in January. 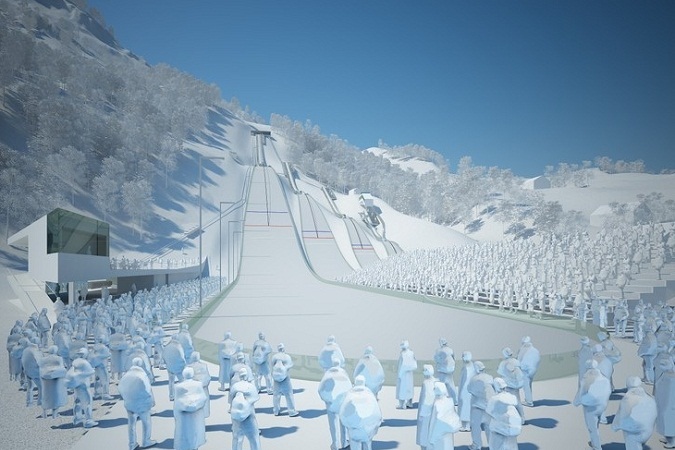 The European Youth Olympic Winter Festival is going to take place in Vorarlberg and Liechtenstein in 2015. 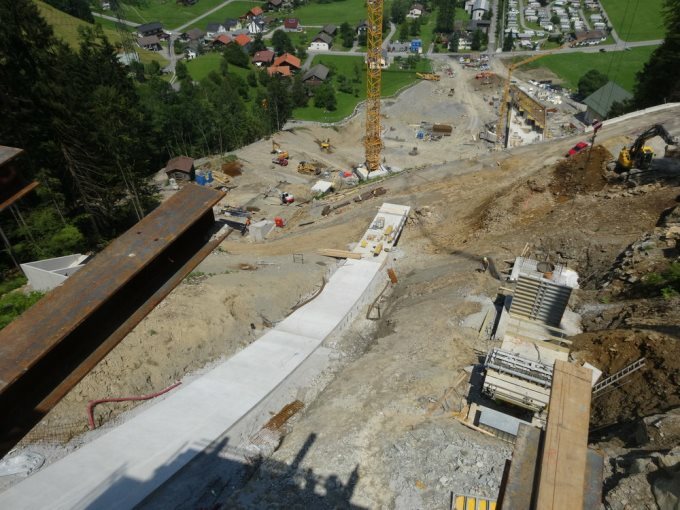 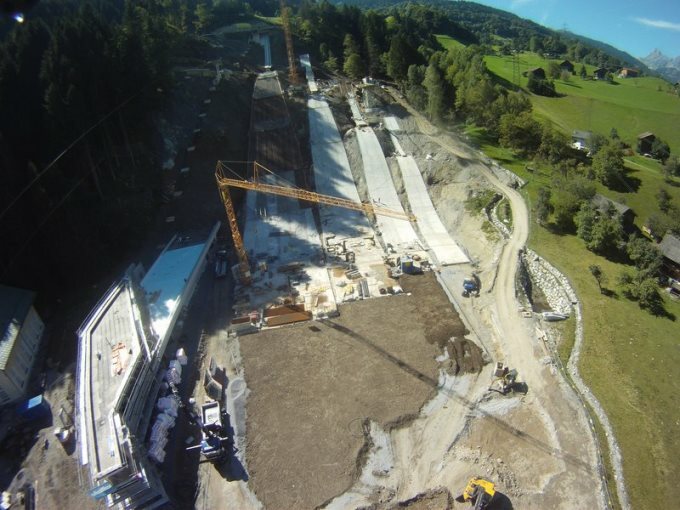 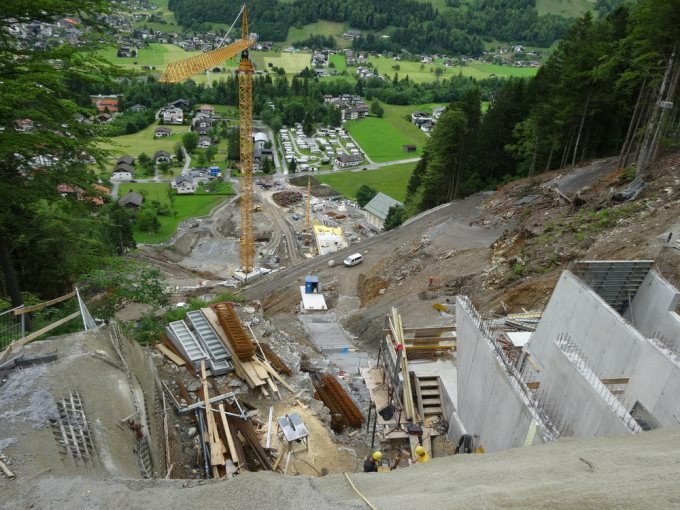 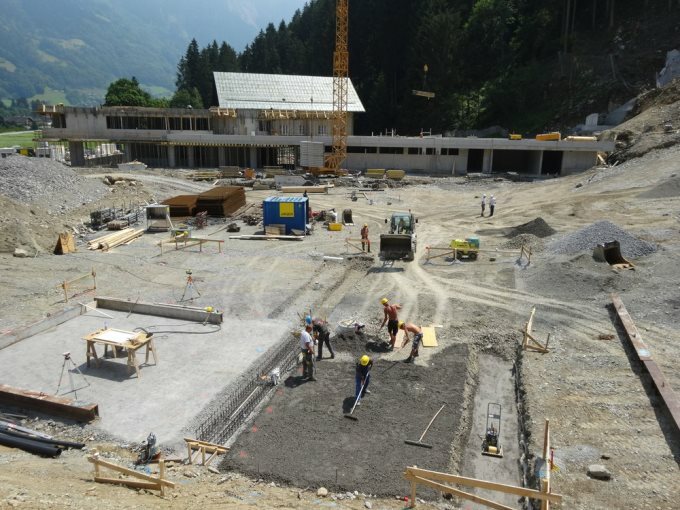 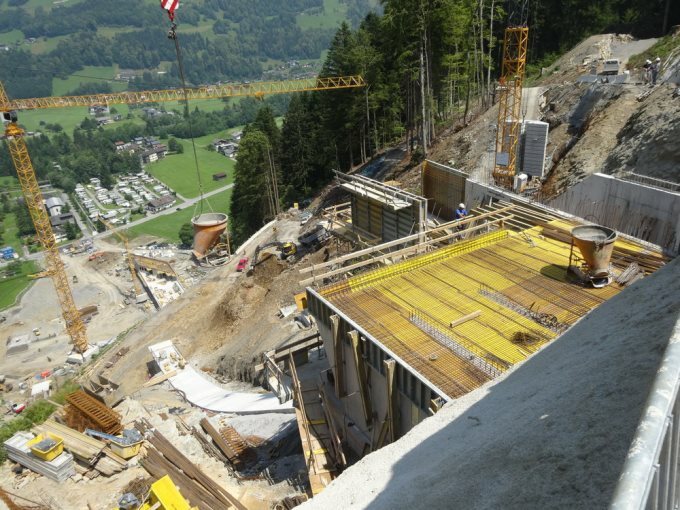 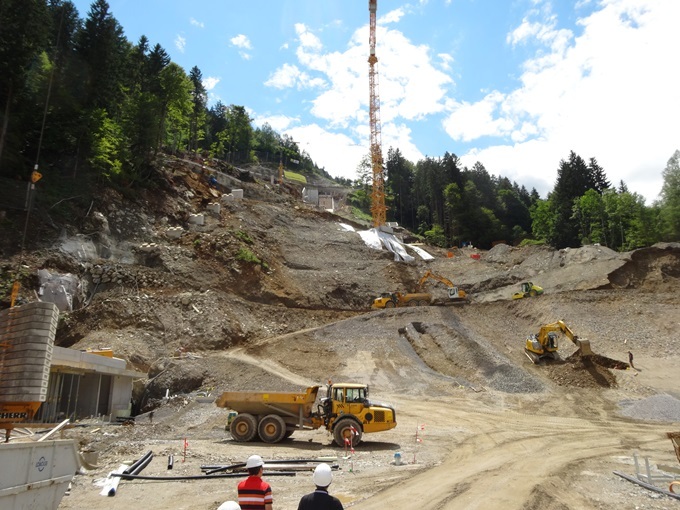 Therefore the ground-breaking of the new Montafon ski jumping center at Tschagguns was held. 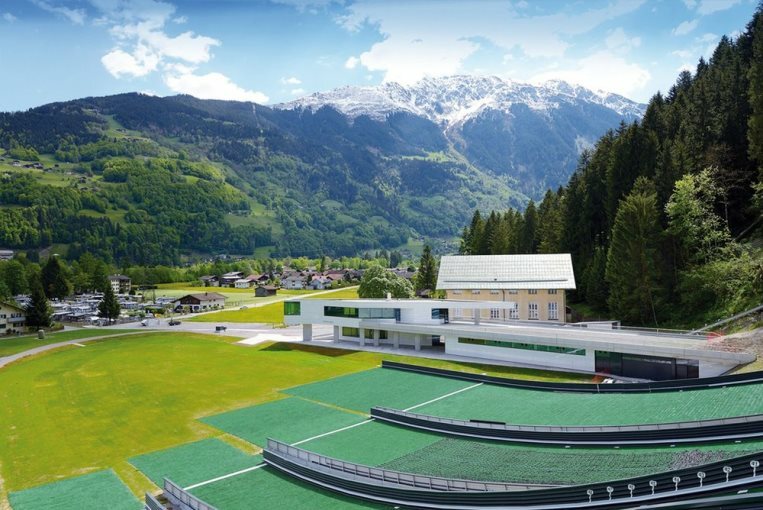 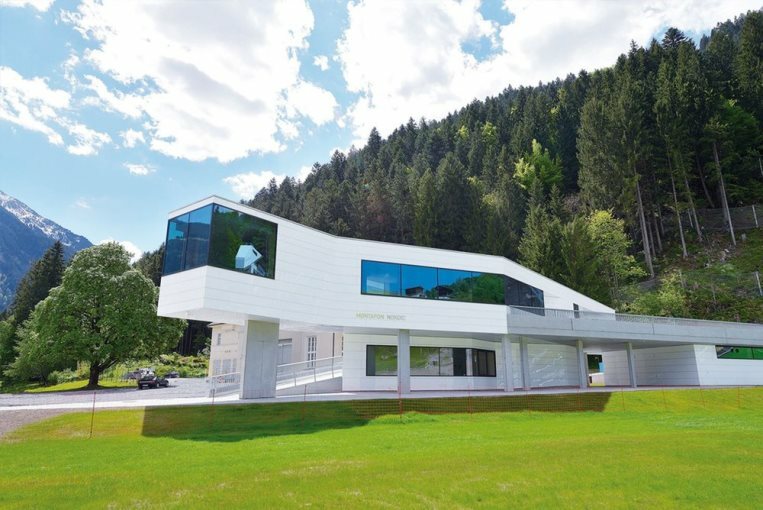 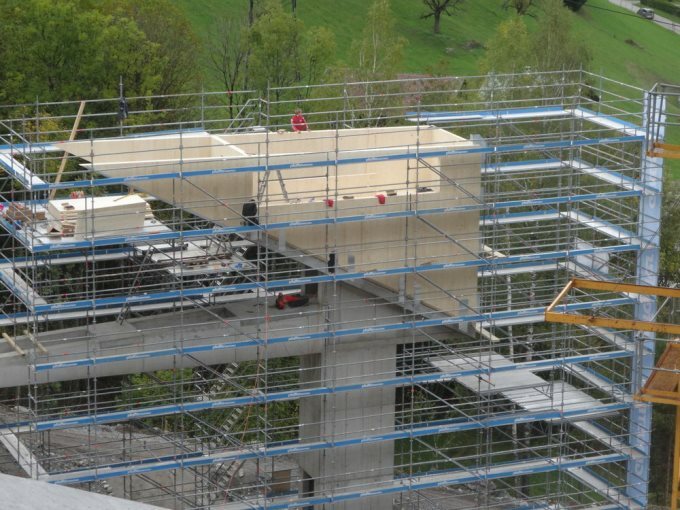 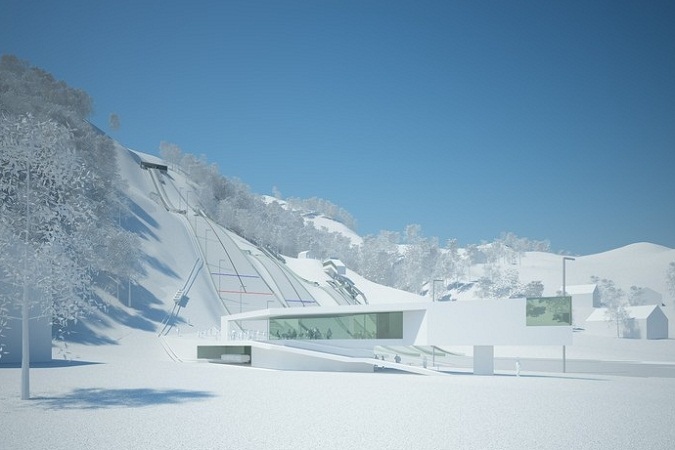 The building decision for the "Montafon ski jumping center" located in Austrian Tschagguns, where the EYOF 2015 will be hosted, was now made. 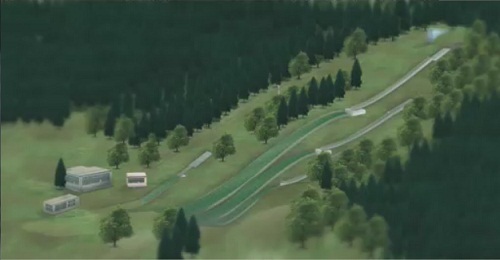 Additionally new junior hills shall be build at Andelsbuch. 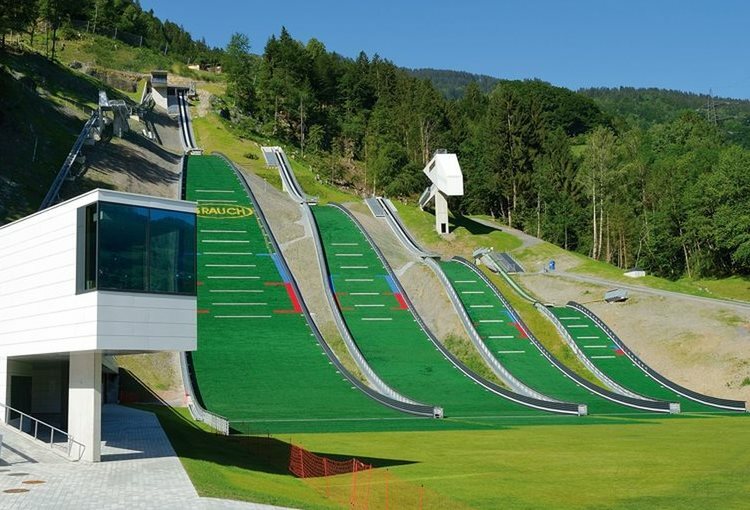 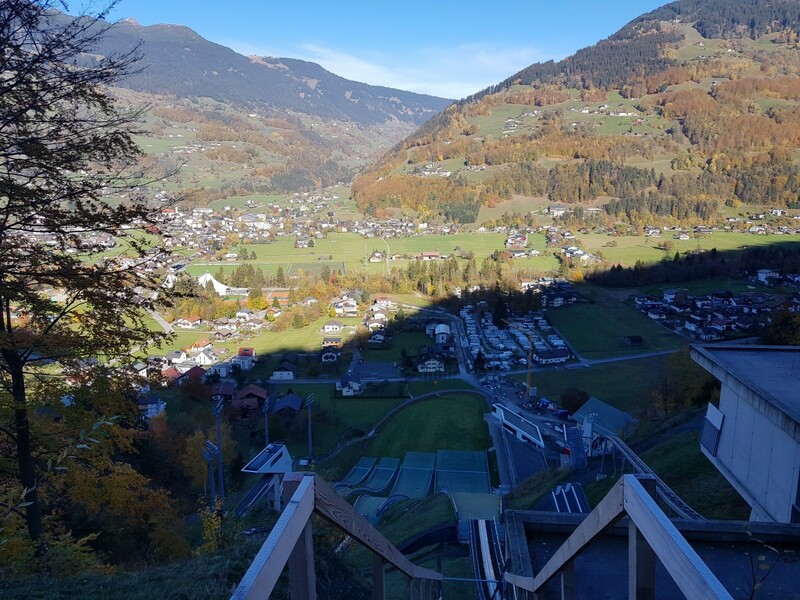 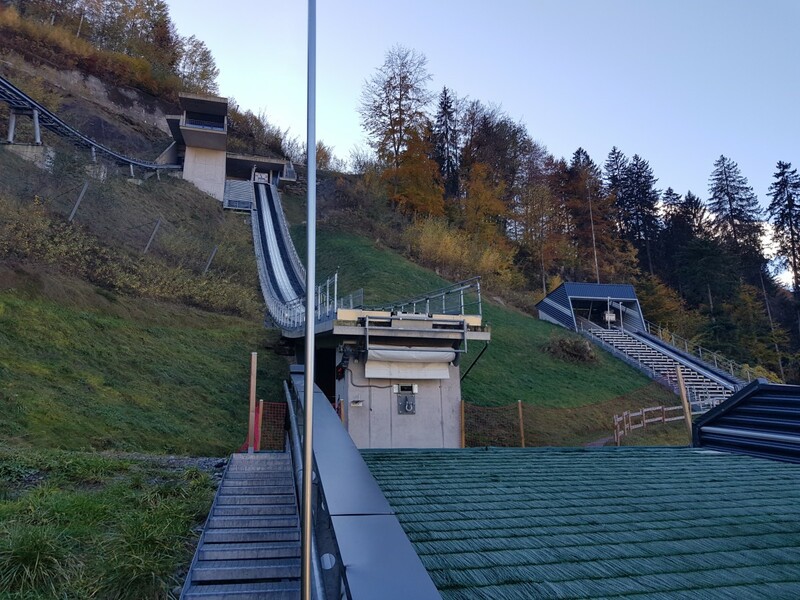 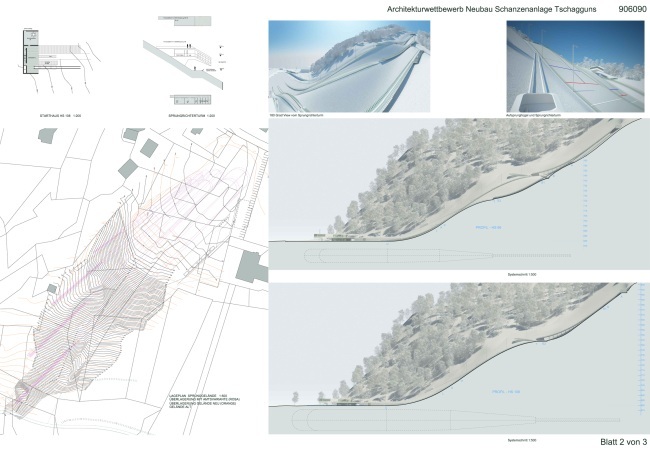 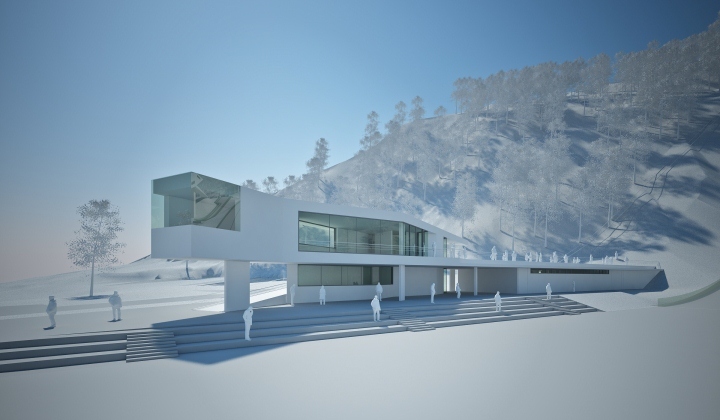 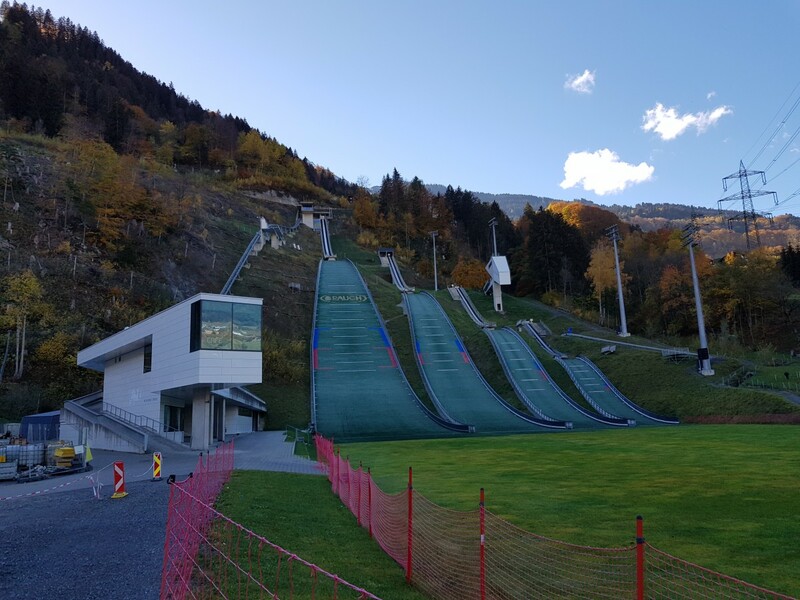 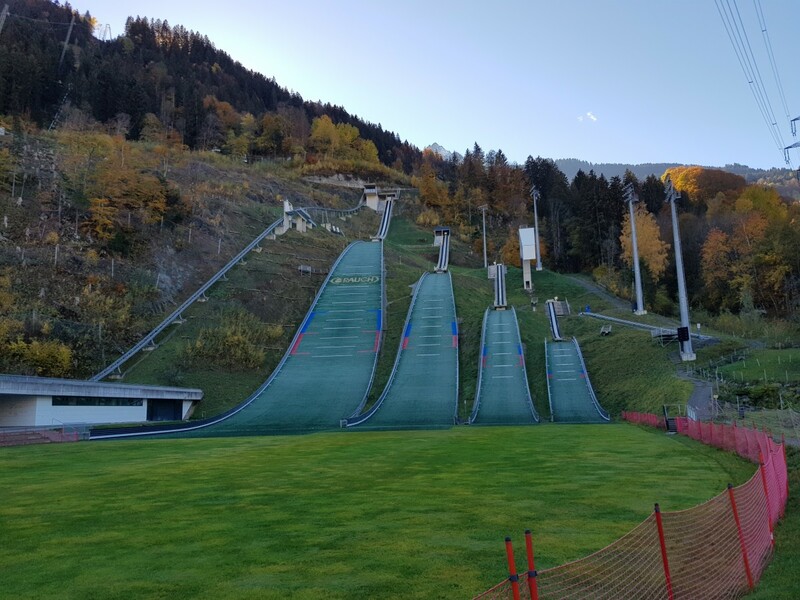 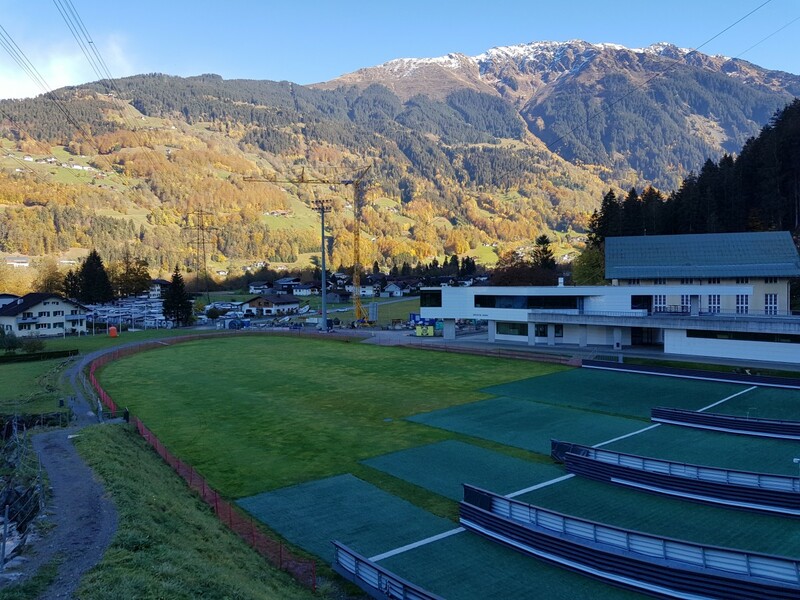 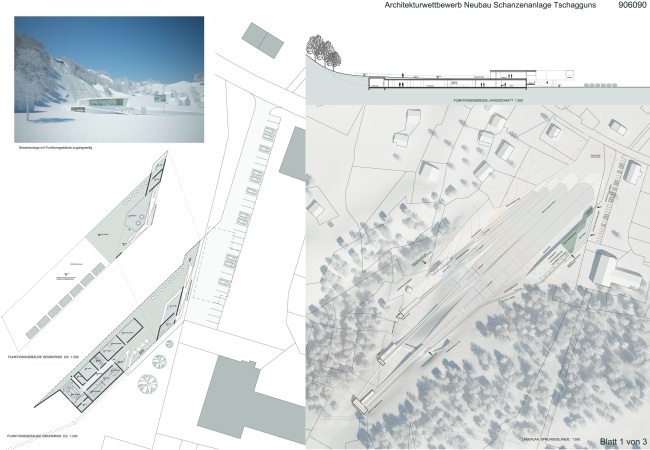 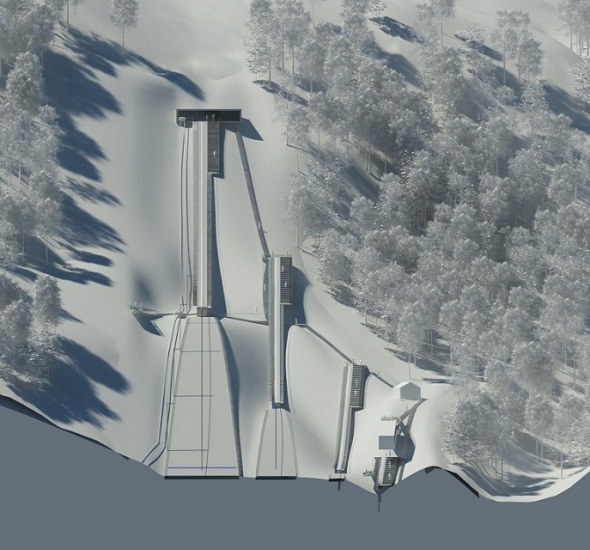 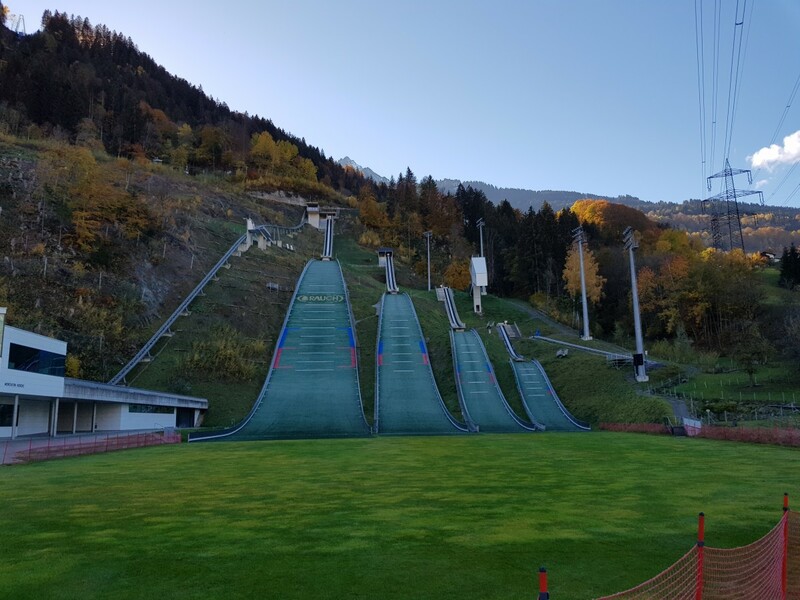 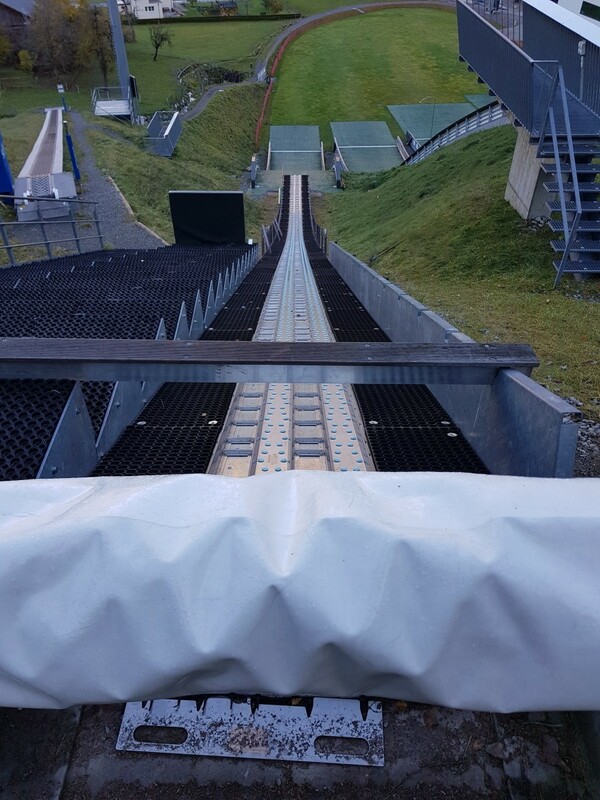 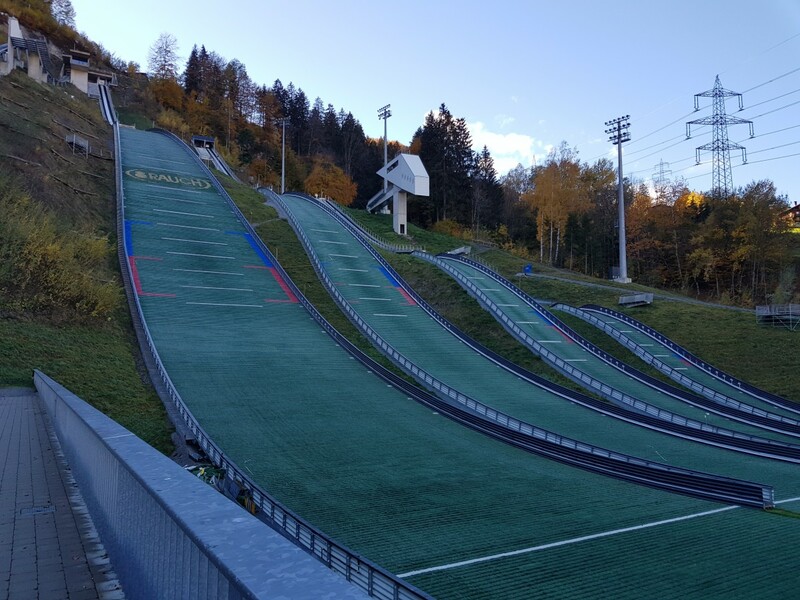 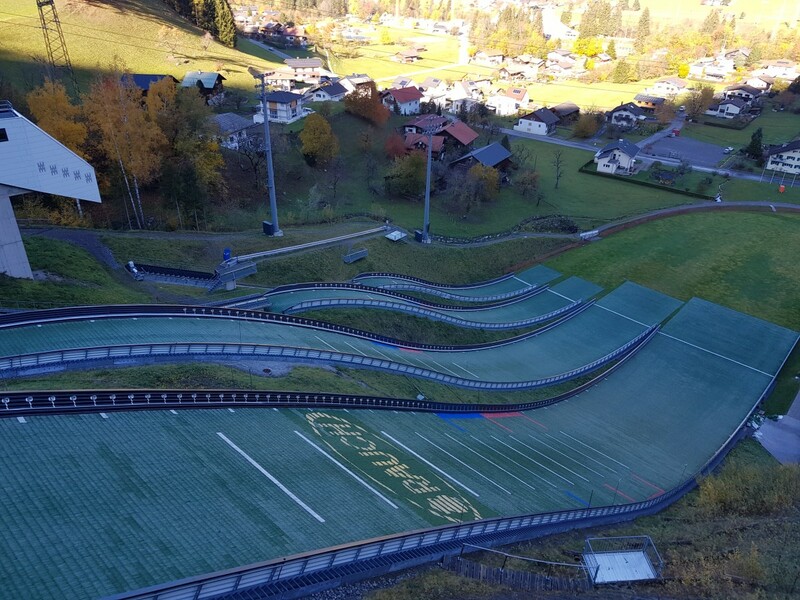 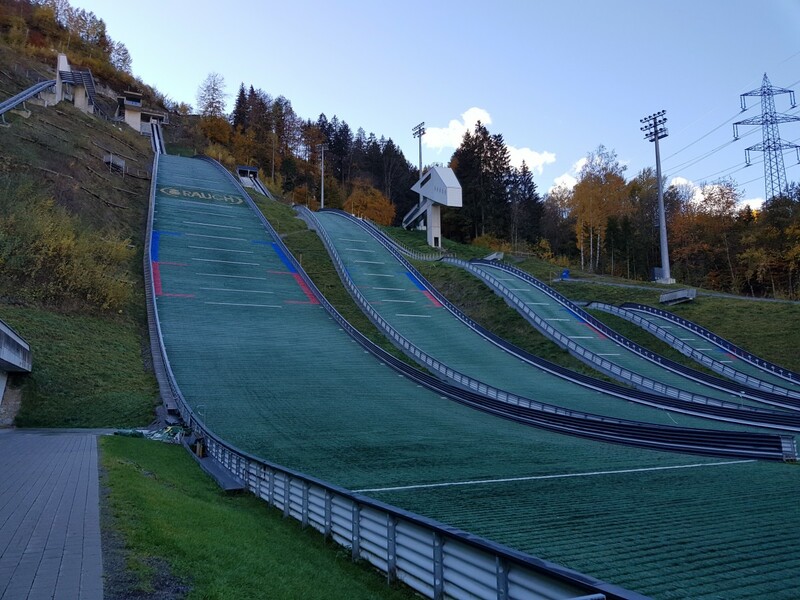 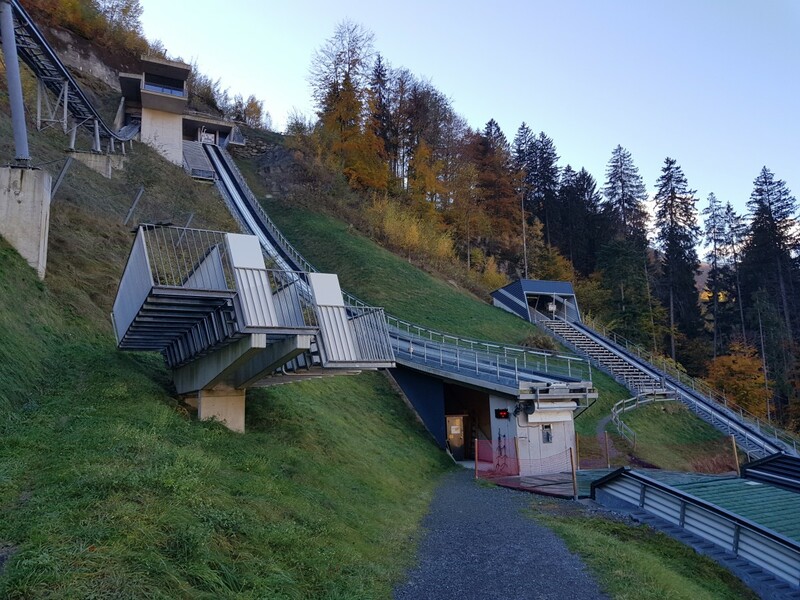 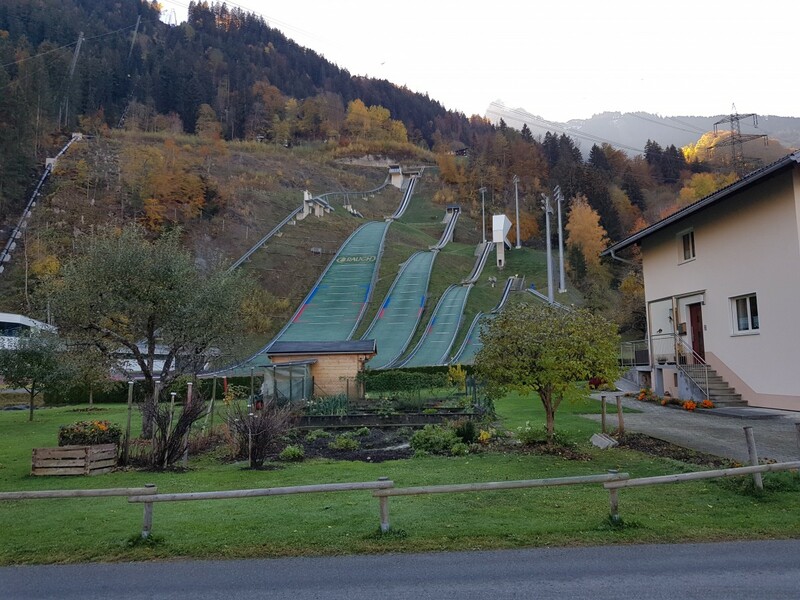 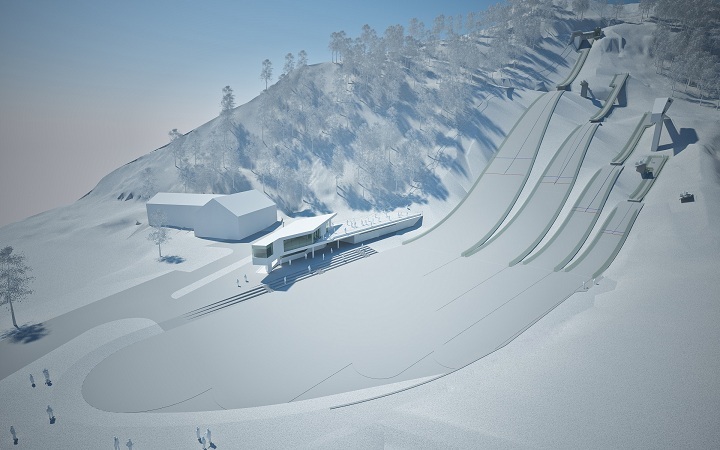 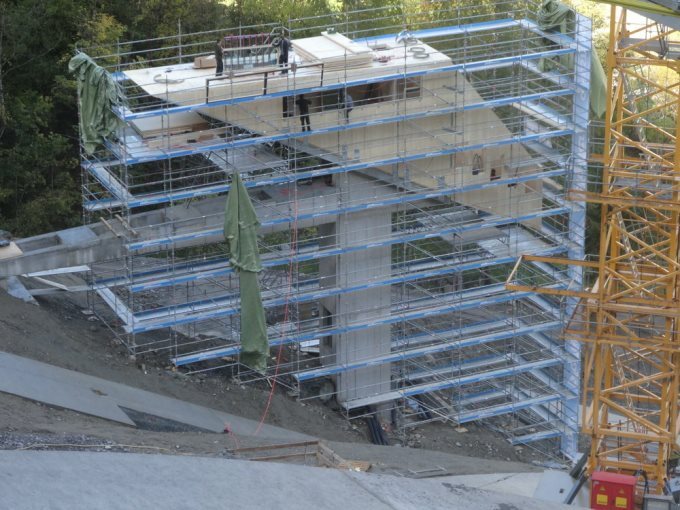 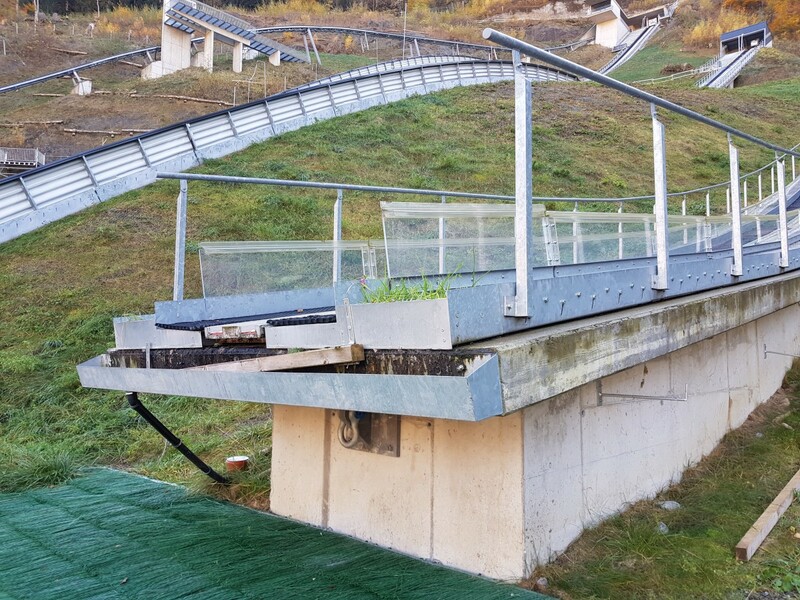 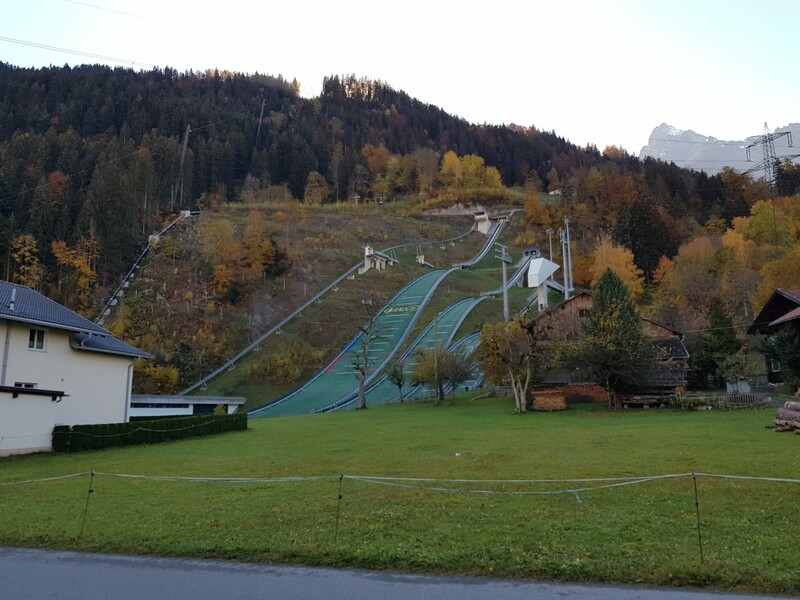 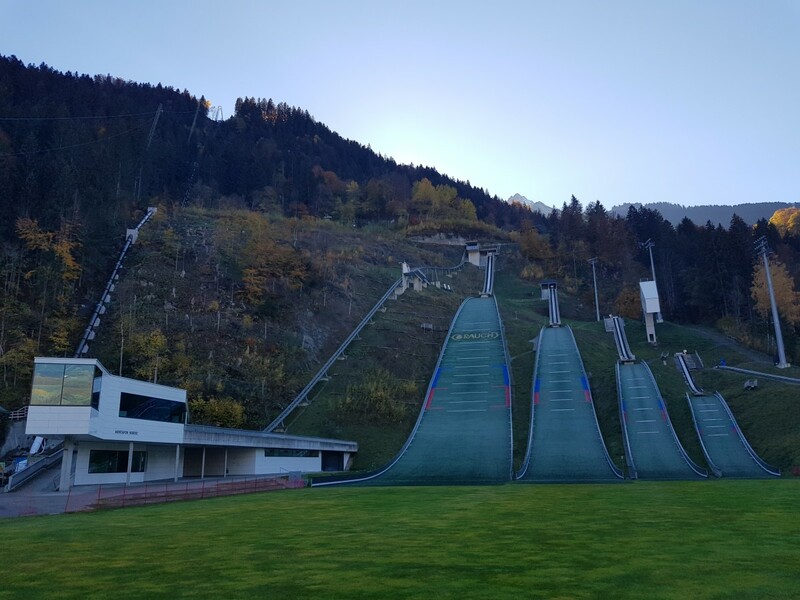 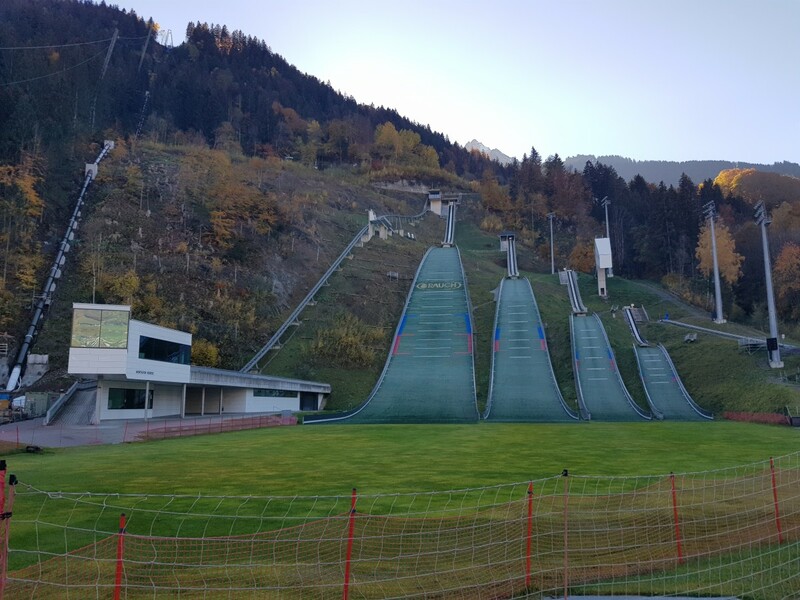 After the organization EYOF 2015 was awarded to Liechtenstein and Vorarlberg in November 2010, now the realization of the sports facility concept is proceeding - at Tschagguns a ski jumping facility with four hills will be developped. 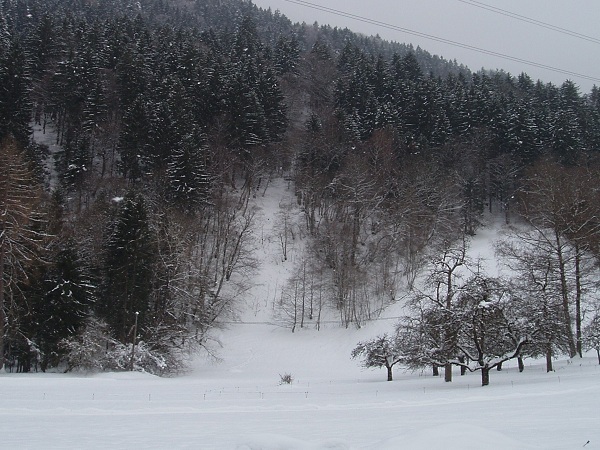 Winter-Rekord auf der HS 108. 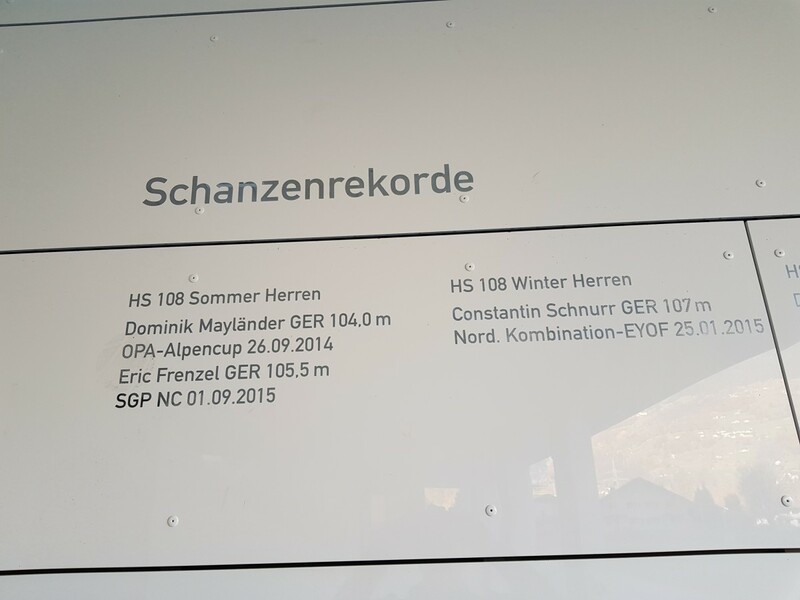 Konstantin Schnurr (GER) 107,0 m 25.01.15. 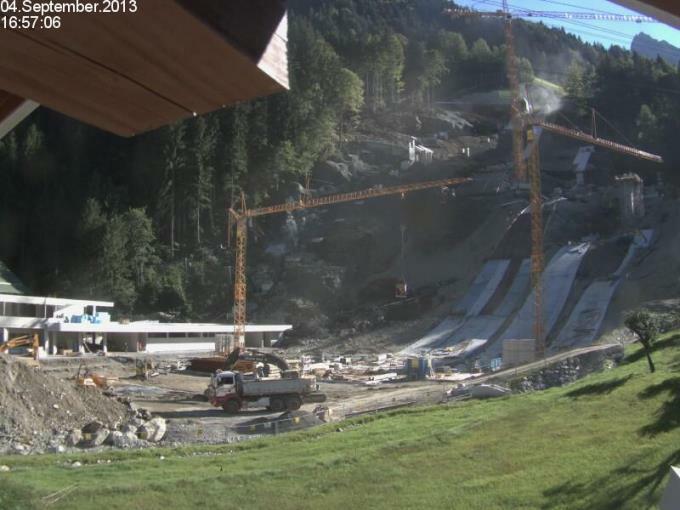 Ist noch nicht geupdatet. 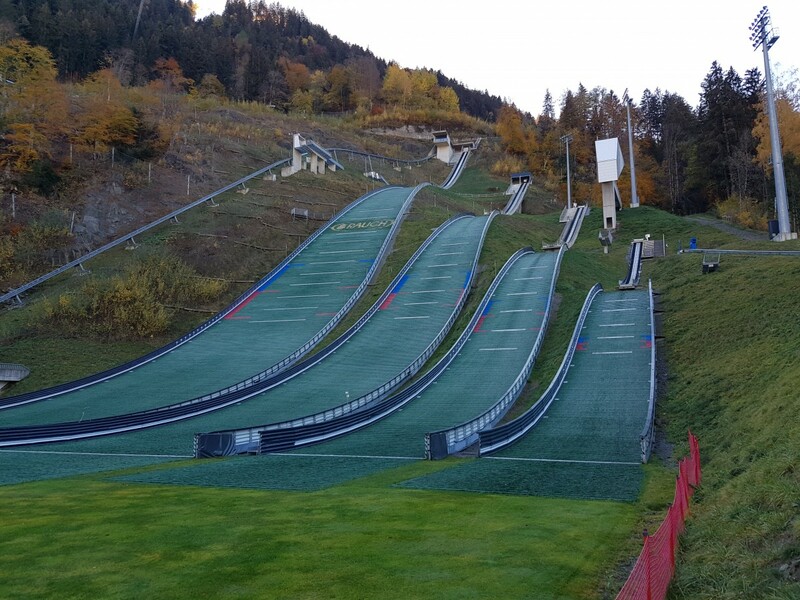 Claudia Purker (AUT) neue Rekordhalterin auf der K60. 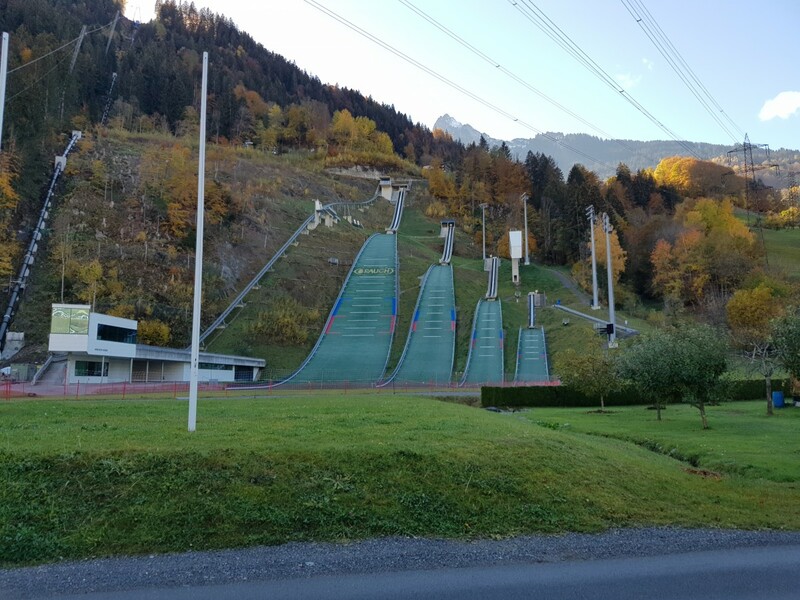 Im Rahmen des Alpencups am 26.09.14 sprang sie 61,5 m.
Korrektur: Dominik Mayländer (GER) sprang den Rekord im Rahmen des Alpencups am 26.09.14 mit einer Weite von 104,0 m.
Janni Reisenauer (AUT) springt im Rahmen des Alpencups am 28.09.14 über 100 m. Mit 102,5 m ist er die erste Person, welche den Rekord hält.